You are here: Home / Freelancing / How to Create Fiverr Gigs to Get First Order in Few Hours? 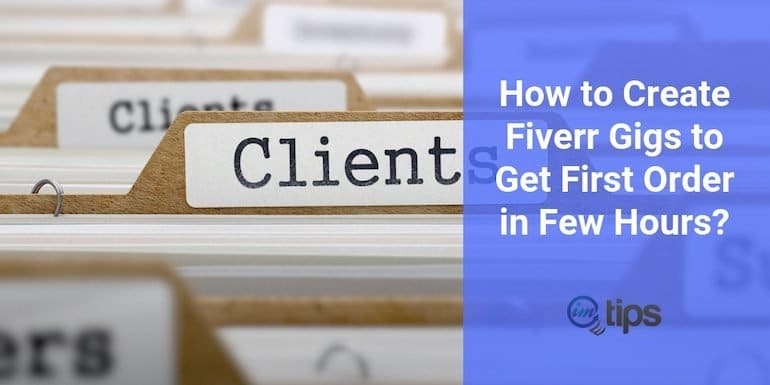 What is the secret behind creating a winning Fiverr Gig and start generating orders within a few hours of making the first Gig? Fiverr is one of the recommended freelancing sites for individuals looking for freelancing work. It works a lot different than traditional freelancing marketplaces. The best part is, you don’t waste time writing proposals to clients requirements and wait for clients to respond. List what you can offer at a price point, and clients find you if they need it. And if you want to know about the working of Fiverr, check it out here. So now let me help you get your first order from Fiverr. There will be pros and cons of using an online tool and Fiverr is no different. Many consider “Everything for $5” is a race to the bottom in price. I don’t think so. The critical aspect is positioning in the crowded niche. If the product or services in a uniquely different way, it is bound to get the customers. 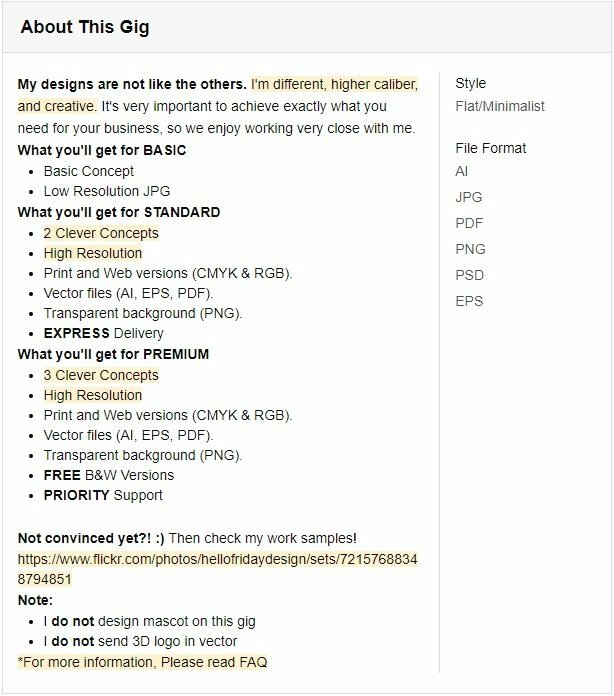 So how can one create a gig on Fiverr which is uniquely different and yet get orders? The first part is to know what you can offer as a value to the buyer. It means what task you can do which has a demand on Fiverr and yet no one is doing what you can do. I will share the exact examples of how you can do the same thing as others but positioning it differently. Be it logo design, digital marketing, content writing, animation, programming, or anything else. The initial step towards getting your first ever order on Fiverr is making excellent gigs (more than one) that shines in the search results. But before you start on Fiverr, take a pen and paper and list all the skills you have. It will help you find the right category to place the gig. So once you have your list ready. Head on to Fiverr to see how many people have listed in each of what you can do. If you don’t find gigs, it is an excellent place to start. If you see many don’t worry, combine more than one item from your list to create gigs. If you still find too much competition, try adding more items from your list into the single gig. The basic idea is to eliminate the competition by making it a smaller niche. It is better to be a big fish in a small pond than to be a small fish in a big pond. So now we are ready to create a Gig. So consider creating more than one gig. There is no harm in doing so. Aim to create at least five. So when you are ready to create gigs, remember to take advantage of the 80 characters Gig title. Try to explain everything in 80 characters. If you aren’t able to find a perfect title for your Gig, get some ideas from an existing gig. There is no harm in getting inspired by others. The problem is to copy them in and out. As we are creating multiple gigs, still don’t copy-paste the title and descriptions in each. The point is to have similar gigs and position them differently using the list we have created above. To the title to make it an instant hit. Your gig is an ad copy. It is an advertisement for your skills and services. So treat it likewise. Here’s a gig for Logo design. Highlight crucial points in yellow for easy scanning. A sample work link provides a reference for the interested buyers’. Lastly, the seller facilitates the buyers to refer to the FAQ section in case of further queries. An excellent copy to answers all buyers queries. We did look at the competition, but now we will get more inspiration from them. There are a couple of things to copy from the competitors. Search for the top sellers in an area similar to yours. See what tags they are using. Make a list of the competition. 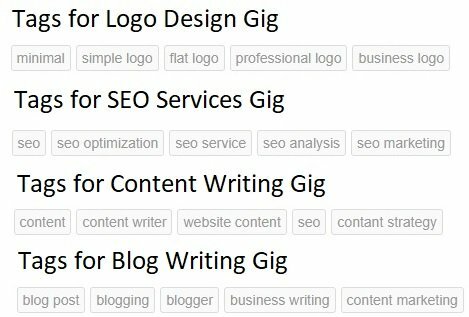 Fiverr only allows up to five tags per gig. So add five most related tags to your gig. The second one is the category. Select the most appropriate category and sub-category. If you find more than one sub-category for a gig, try to choose the one that is best suited. If both are best suited, try creating multiple gigs in each category but make sure both are different in the title and the copy and are as per the expectation of the buyer browsing the category. Video increases buyer engagement. It is the most compelling evidence of your work. Fiverr allows the seller to add a video demonstrating their work skills. Create a video using a smartphone or even screen recording. Remember, buyers who need your service want to see your core skills and aren’t too concern about video making skills. Hence, a simple screen recording video or a white background video shoot can get the ball rolling. Remember, Fiverr allows maximum 75 seconds and 50MB size for a gig video. 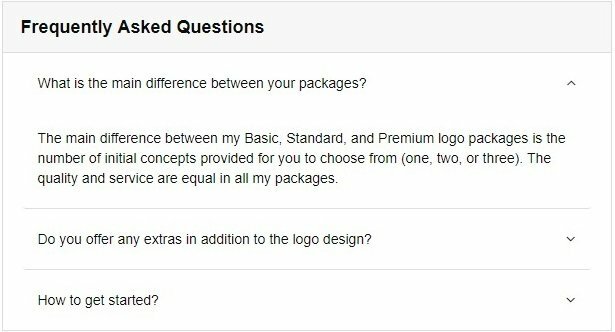 The FAQ section in Fiverr has ten slots to pinup most commonly asked buyers questions for the services you offer. Put yourself in the shoes of the buyer to frame typical queries a buyer can have before ordering the gig. If you aren’t able to find questions, there is no harm in looking at other gigs for question ideas and answering them as per your gig offerings. The focus should be to help buyers decide quickly what you are offering and place the order. Sellers have ten slots every day to apply to buyer requests. Make sure to use them on a daily basis. Do not overdo it as it can lead to account suspension. When “All Subcategories” option is selected, it will show all the request posted by all buyers. More importantly, sellers should create gigs to align with such buyer requests as well to instantly get more orders. Let’s say you have web design gigs. You found a “Buyer Request” for recipe site design. It means there aren’t many good recipe site design gigs. So create a gig out of such request. The fact of the matter is I couldn’t find any gigs either that helps me with a recipe site design. If you raise the price, you will have more room to offer excellent quality services. More so to eliminate low paying clients who are looking for cheap work. It is one of the better ways to be able to provide services that the client uses more than once. Aim to work for a few clients over and over again than to working for clients only once. People prefer working with someone who provides good value at a price, not the one who offers the lowest price. What I mean is, if I browse the Articles & Blog Posts category and sort by recommended, there are high chances none of the $5 gigs are the most recommended. Because if you want to provide good quality manually written content, one has to invest time and effort. Therefore, increasing the gig price. The same can’t be said for every niche because some niche, the clients needs one of work. 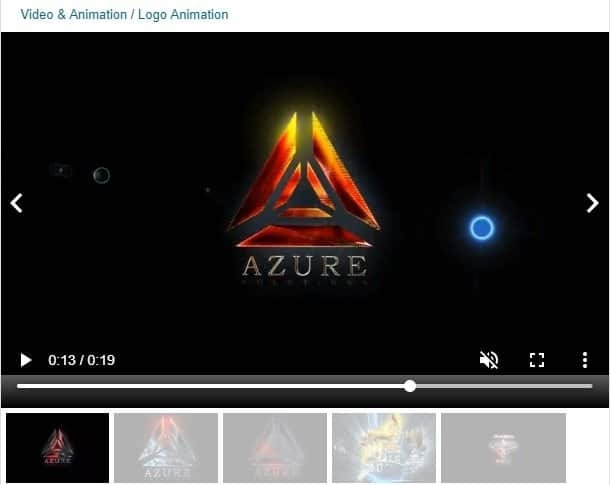 As an example, one may not want to have a new logo designed every week like article writing. Even if you are skeptical of raising the price for the basic gig, providing higher packages for people who are looking for better quality work. “Heart a Gig” or “Save” is an option for buyers in Fiverr. It also shows how many other buyers have saved the Gig. It can be a signal for ranking Gigs by Fiverr in the search results. Ask all your existing clients to save other gigs to their favorite for future ordering. It can help you rank other gigs in search results. Sharing Gigs on your personal social media account may not be enough to fetch orders. Instead, if you are serious about it, why not spend $1 per day on Facebook advertising to drive traffic to your Fiverr Gig. It is one of the better ways to get the ball rolling. The best part is it isn’t too heavy on the wallet either but can take you a long way. Offer existing clients incentives on future services for referrals. It has dual benefits. First, you can get more order from the same clients. The second one is to get new referral clients. As a web designer example, if a client refers to another client, you can offer them one additional variation. Referrals and word of mouth are the most effective way of getting clients for me. It always works. If you have one satisfied customer, you are bound to get more customers from them. Read: How Freelancers Can Ask Existing Clients For Referrals? As and when possible, make sure you ask clients for a referral. At the very least, you can ask them to share the gig they ordered on their Facebook timeline. 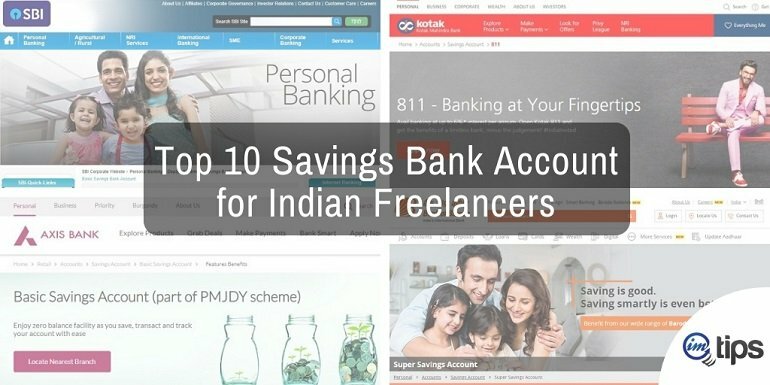 It can help you get few more eyeballs rolling on your gigs. If you offer one kind of services, it is always recommended to provide services that are related to the previous one. It can help cross-promote services. Offering related services increase your chance of selling more and tends to hold a buyer for a long time. For example, client ordering Facebook marketing does mean the client is looking for social media marketing. Why not offer twitter or Pinterest marketing services as well. As shown in the image above the seller is offering Facebook ads generation along with Google Adwords setup and management. Furthermore, you can create separate gigs for different stages of the same services. If you are an expert in Google PPC ads, create one gig for setting up Google Ad Campaign and a second one to manage the same. There is no way you can remove the negative feedback in Fiverr. So it is always better to set the right client expectations and then ask them not to leave negative feedback but asking for changes. Here is a message for one of the gigs I ordered. It sets the right expectations and makes sure I don’t leave negative feedback for the gig. Use Fiverr apps on mobile. As and when the buyer sends a message, you can be ready to grab the opportunity to respond. It is important for the new services provider on Fiverr. The sooner you can respond, the chance of getting the order increases higher. Use a message template or keep some copy paste messages to help you reply faster to some of the common questions a buyer may have, or you may have asked buyers to ask before buying the gig. Make sure you don’t take too long to respond. 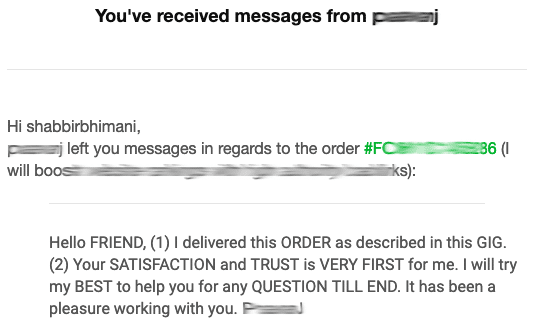 You can leave a detail response to the feedback from the buyer. Use the answer to add more details about your gig as well as offer them some other gig that you provide in reply to make sure you have added a lot of right keywords in the comments to help rank your gig even higher in Fiverr search. Lastly, be an active member of the Fiverr forum. Try to answer the question and share your suggestion. Give suggestion to improve the Fiverr website. If your idea is to use your gigs will be featured giving you many orders.